Energy prices are now starting to ease after a very volatile and elevated period in the autumn. Following last year’s severe cold snap over winter, supply levels are more robust. The current period of pricing and supply stability may present an optimal time to reprocure your energy supply if your current contract is due to expire in April 2019. We advise members to get in touch as early as possible for the best opportunity to optimise costs as the current levels of uncertainty regarding Brexit and the wider economic outlook could lead to further periods of instability in the energy markets. We are currently developing a ‘basket’ purchasing opportunity which is a way of pooling the bulk buying power of a group of buying organisations to get more competitive prices, particularly for smaller energy users. Our ‘basket’ allows institutions to collaboratively buy through our Utilities framework to get more competitive prices than would be possible if an institution was to procure their energy individually due to economies of scale. The first ‘basket’ will be concluded ahead of April 2019 contract expirations and we encourage members to express their interest in joining it as early as possible. The more members that use the ‘basket’ and the more time there is to track the markets, the greater the opportunity to achieve lower energy rates. We will also run a ‘basket’ which will conclude ahead of October 2019 contract expirations. We can align and accommodate contract dates that are slightly out of alignment with April and October. 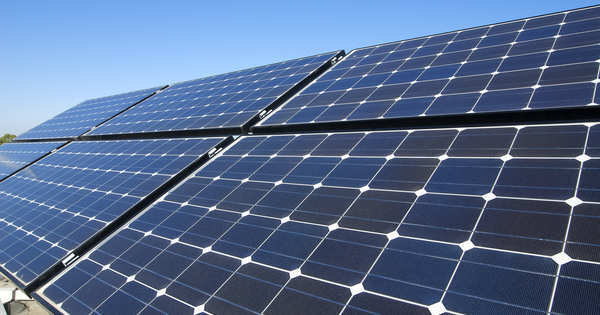 Are you considering new Solar Panels / Photovoltaic installations? Read the news story about the Ofgem Feed In Tariff (FIT) scheme deadline here.